This message is continued from The Bugle, our email newsletter. 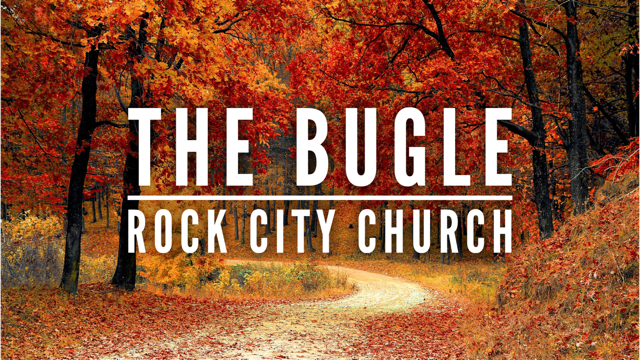 To receive The Bugle, enter your email in the Subscribe box on this page! And return to the Lord. For we will offer the sacrifices of our lips. Now when I first got saved, I loved the King James Version. And that same verse there says, “So we will render the calves of our lips.” In other words, what you’re saying out of your mouth is a sacrifice to God! And in this portion of Scripture, we understand the children of Israel offered bullocks and heifers upon the altar as a means of sacrifice, but the Scripture’s saying that what you say out of your mouth is a sacrifice, an offering to God. Another verse of Scripture tells us, in Hebrews 13:15, “Therefore by Him let us continually offer the sacrifice of praise to God, that is, the fruit of our lips, giving thanks to His name. Continually, we need to offer the sacrifice of praise.” And see, the praise service doesn’t start when the band starts playing. The praise service really starts when you get up out of your bed, because the Bible says there’s a new mercy waiting on the side of the bed. So when I got up this morning and I rolled out of bed, I rolled out into a new mercy! When I got up this morning, yesterday’s mercy wasn’t going to be good enough for today, because there was just enough for yesterday! But when I rolled out of my bed this morning, God had a fresh mercy waiting on me. I don’t know what I’m going to face today. I’m only halfway through today. But isn’t it good to know that God has already prepared a mercy to get you through the day? In Hosea 14, the prophet tells the nation, Return to God! Go back to God but take words with you! Come on, ladies! When your man messes up, and he has to get it right, look: come back with the flowers and the candy, but bring some words with you! Right? If he just left the flowers on the table, that would be insufficient without, “Baby, I’m sorry.” Right or wrong? Return to God, but bring some words with you! Get it right with God, but don’t be silent! Tell Him you blew it! Bring some words with ya! Fellas, you know when you’ve got that special young lady, that special one. See, when I met Brenda, all of the sudden I was writing poetry. Cause she brought something out of me that wasn’t always in me! Meeting her touched something deep. When I met God, He touched something deep in me that brought something – emotions and expressions – out of me that didn’t ordinarily come to the surface! But when I met Him, and when I want to meet Him and spend time with Him, I bring my words. I bring my words. Because if I want to spend time in intimacy with Him, I’ve got to bring my words. The prophet is telling the nation, you want to get right with Him, not only just come back, but bring some words with you. There is more to this message! You can watch it on YouTube at this link! The Hedge Is Broken Down – Save America! Receive our newsletter with a devotional, daily words of encouragement, and current events directly to your inbox. Can You See? He Is Alive! Copyright © 1983-2019 Rock City Church. Hosting from RockCityHost.com. Powered by Probewise.